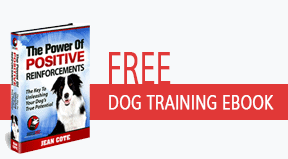 Category Archives for "Free Training Lessons"
A perfect trick to teach your dog is the freeze. Your dog will literally become a statue in whichever position he is in at the time and not move until released. To teach this trick you will need to concentrate and completely focus your dog. This is different to all of the other tricks because it expects your dog to do absolutely nothing and he will be desperate to do something. The idea is to quickly and consistently reinforce his stillness whilst introducing the command. You may need to reinforce every second to begin with until he gets the idea, but when he knows the command your dog will find complete stillness great fun. This may take several sessions to teach but it is an original trick and you will feel a great sense of achievement when your dog will freeze on command until released. Top tip; Teach this trick when your dog is tired, you will have more chance of him focusing than if he is full of energy. Dog trainers love this trick because it requires the ultimate timing and skill to teach. This trick looks pretty and is great as part of an enhanced obedience routine. Your dog will quickly complete a loop around your target stick. Stand up straight and hold your stick out so that you have the handle and the bottom of the stick is touching the ground. Now simply ask your dog to loop around the stick reinforce and reward. This trick can be enhanced by teaching forwards and backwards loops around the prop and also loop the loop where the dog continuously goes around the stick until told to stop. Top tip; you can use a treat in your other hand if needed to encourage your dog initially to go around the stick. Dog trainers love this trick because it is great fun ad a wonderful use of a prop to complete and impressive canine freestyle routine. All change is a trick where the dog loops first one way and then the other; it looks great and due to the change in direction is extremely impressive. Use your target stick to encourage your dog to loop in one direction once then reinforce and reward that action. Then immediately request that your dog circle in the opposite direction and reinforce and reward. Now repeat the previous two steps but as you lure the direction change with your target stick add the command word. Reinforce and reward at exactly the moment when your dog changes direction. Top tip; if you prefer you can use hand signals rather than a target stick to teach this trick. Dog trainers love this trick because it requires focus during intense physical activity. This trick is fun and consists of your dog spinning quickly in a continuous circle on all four feet until released from the trick. Use the target stick to encourage your dog to turn a circle then reinforce and reward. Add the command word and practice until your dog turns quickly to it then withhold reinforcement after the first loop until he completes a second one. Extend on this until your dog offers multiple loops on command before being reinforced and rewarded. Practice to improve neatness and speed of the trick. Top tip; if your dog lacks confidence to complete a full second loop during the training of this trick help him along by reinforcing a half loop, he will soon get the idea. Dog trainers love this trick because it uses up canine energy and looks fantastic. This is a physically demanding trick that must only be carried out by a dog that has physically sound hips and rear legs. He will learn to stand up on his rear legs and twirl in a circle; it looks impressive and is great fun. Use your target stick to encourage your dog to stand on his rear legs then gently turn it in a circle so that your dog follows it with his nose. Add your command and reinforce and reward. Now this trick may take time and encouragement to teach but with patience and perseverance your dog will be preforming like a true professional. Keep sessions short and sweet. Top tip; if your dog does not go a full circle initially that’s no problem, in fact few do. Simply reinforce part turns and build up to a full circle gradually. Dog trainers love this trick because it is amazing to watch and extremely impressive. The ultimate dog trick is ringing a doorbell to come back into the house from the garden. This is actually taught very easily by utilizing the target disk from the previous trick. Place the disk onto the bell and reinforce and reward each time your dog pokes it with his paw. Add the command word and gradually remove the disk in order for the dog to ring the bell on command. When your dog has learned this trick he will usually ring the doorbell, without provocation, to come back into the house. Top tip; you made need a low doorbell for a smaller dog or at least a box for him to stand on in order to reach the existing one. Dog trainers love this trick because it encourages a dog to use his initiative. This trick is teaching your dog the act of touching an item with his paw. This can come in handy for many things from switching on a light to ringing a bell. To teach this trick you can target your dog to a disk and then simply place the disk on any item that you would like him to touch. Any small flat object can be used as a targeting disk common ones are the top from milk cartons or a circle cut from card. Place the disk on the ground and draw your dog’s attention to it. He will probably sniff it first but soon try and poke it with a paw – when he uses his paw reinforce and reward. Add the command word and practice by reinforcing the same act until confident that your dog knows what he needs to do. Now move the target disk around to cement in your mind that he needs to touch it for reward. Top tip; Move the disk around gradually and if your dog looks confused place it somewhere easy to rebuild his confidence to touch it. Dog trainers love this trick because targeting to a disk enables the dog to touch any object with little further training. This trick is wonderful, it is taught to assistance dogs as a way to get their handlers attention by applying a gentle nudge from the nose. Have a treat in your hand and show them to your dog then close your fist and offer it to him. Your dog is likely to touch your hand with his nose at some point. When he does this immediately reinforce and open your hand. Repeat this but each time wait a little longer before reinforcement this will encourage your dog to nudge a little harder. Add your command word. Gradually bring the command word forwards until your dog knows that he must nudge you with his nose when he hears it. Practice by reinforcing the nose nudge until your dog is completely competent. Top tip; regardless of where on your person he nudges you this action should be rewarded as this will build his confidence. Dog trainers love this trick because it is teaching your dog a non-invasive and gentle way to ask for your attention. Your dog will happily catch treats all day, this trick will teach him to catch more unusual objects. Begin by passing your dog the object that you would like him to catch then reinforcing as he takes it. Reward your dog and introduce the command word. Now build up the catching action by first dropping it and encouraging him to catch it and increase the distance that you throw the object. Practice by varying objects and difficulty until you can say catch and your dog is ready. Top tip; only expect your dog to catch soft and reasonable items, anything that bangs his mouth or is uncomfortable will affect his ability and confidence. Dog trainers love this trick because it encourages alertness and focus.